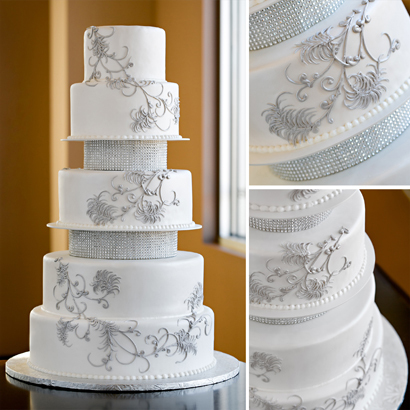 Display shown is covered in rolled fondant and decorated with icing scrolls and rhinestone separators. Design may be created with Buttercream. Additional charge for crystal rhinestone separators.